powerplant is a concept for a new kind of flowerpot. It exists of three differend pods. One for water, one for light and one for earth. Each pod can be assambled together. When different pods, except the light pod, are assembled to each other, the water circuit will also adapt. This system is intended to be used like lego blocs. 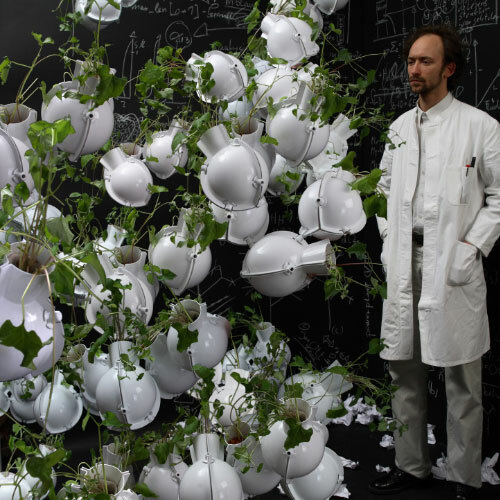 It gives the user the possibility to rearrange the plants whenever he wants. He can play with it. Build walls, structures, hang them from the ceiling.